Daniel Xiong '21 runs to the ball and returns it. In a competition against Kingwood High School, varsity tennis played hard and emerged victorious with a final score of 15-4. In girls’ doubles, Westwood came out swinging as the Lady Warriors went 3-0. In one of those three victories, Flora He ‘19 and Tanvi Jankay ‘19 won their match in two sets 6-0 and 6-1 to quickly end the match. “Me and my partner put away a lot of balls,we got up to the net to volley a lot, and poach a lot,” Jankay said. Girls’ singles also had a strong showing with only one loss and five victories from Michelle Duan ‘19 (6-2, 7-5), He (6-3, 6-4, 10-8), Jankay (6-1, 6-1), Mihika Birmiwal ‘20 (7-5, 6-3), and Fernanda Vasquez ‘20 (6-2, 6-4). “I was very impressed with some of our girls really stepping it up in girls’ singles. Flora He was down a set 4-1 and came back to rail off five straight games. It was a huge match by her,” Coach Dalrymple said. 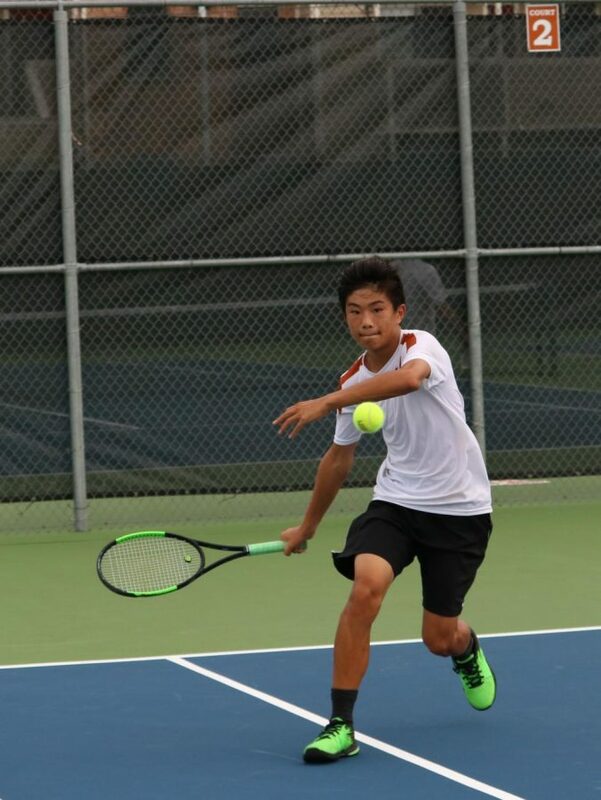 In boys’ doubles and mixed doubles, the team went 2-2, as Kingwood put up strong opposition. Despite that, Daniel Antov ‘21 and Varun Somarouthu ‘20 won 6-4, 6-4 and Anirudh Margam ‘20 and Arsham Mohajeri ‘20 won 6-1, 6-3. 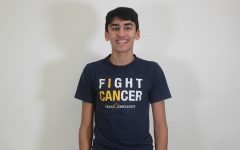 In boys’ singles, the Warriors went 5-1 with Antov winning 6-3, 6-2, Zeyad Elchouemi ‘22 winning 6-2, 6-4, Somarouthu and Margam both victorious with a final score of 6-1, 6-0, and Mohanad Elchouemi ‘19 triumphant with a score of 6-1, 6-3. When the players weren’t winning their matches, they were encouraging each other from the sidelines by constantly cheering each other on. The varsity team will compete again on Monday, Sept. 24 against Vista Ridge High School.